Shampoo less often as it may dry your hair. Apply a coat of aloe vera on your hair and cover it with a shower cap. Do not bathe with very hot water as it can aggravate dryness. Oil massage can remove tdead skin from the surface of scalp. 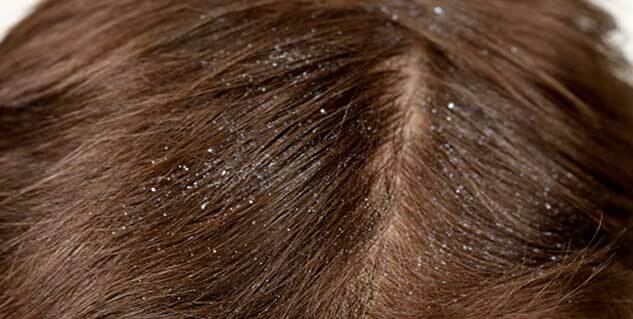 Many skin or other conditions can lead to flaky scalp. 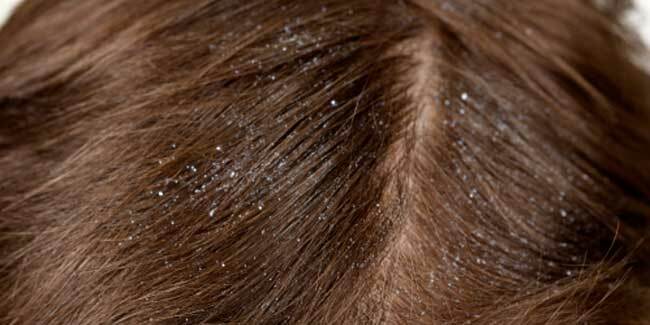 Eczema, poor nutrition, psoriasis, dehydration and excessive shampooing, to name a few, can lead to flaking of your scalp. You can get rid of this irritating problem by making some simple changes to hair care and using a home remedy or two. According to a leading paediatrician in USA, shampooing a lot can contribute to the dryness of your scalp. It eats into the scales of natural oils of your scalp that keep it moisturised. Thus, you are advised to shampoo less often as that may have been the cause behind the problem. Use aloe vera along with shower cap. Apply a coat of aloe vera on your hair and cover it with a shower cap. Sleep with the shower cap on and wash the aloe vera off in the morning. It would have moisturised and healed your scalp by this time. Do not bathe with very hot water as it can aggravate the dry condition of your scalp. Similarly, using blow dryer can take away all the moisture from your hair and scalp. It damages your hair shaft as the heat makes the scalp flaky. Slice an avocado in half and mash it in a bowl using a fork. Massage your hair with the avocado paste and cover your hair after this. Let the paste be on your hair for around half an hour before washing it off normally. Scalp massage could be used to good advantage for treating your dry flaky scalp. It increases the flow of blood to your hair and gets rid of any sebum that was blocking the pores. Facilitation in the production of sebum that is produced in sebaceous glands helps to make the scalp return to its normal condition. Moreover, oil massage of your scalp can remove the hold of dead skin on the surface of scalp and they can then be washed away. Use coconut milk to get rid of dry flaky scalp. Use a bowl to boil coconut milk on low flame for 10 minutes. Keep stirring in between. Pour the warm liquid into another bowl while making sure that the temperature is not too warm for you. Place a towel on your shoulders and apply the warmed oil on your hair by dipping your fingers on the bowl and running your fingers through your hair. Massage your hair with your fingers or a wide toothed comb for 15 minutes and then cover your hair with a shower cap for an hour. Shampoo and rinse the oil off your hair before leaving to dry.